Mark S. Cohen takes you into a mystical world where love and free will are challenged, a world where you can expect the unexpected, a world that just might change your reality forever. 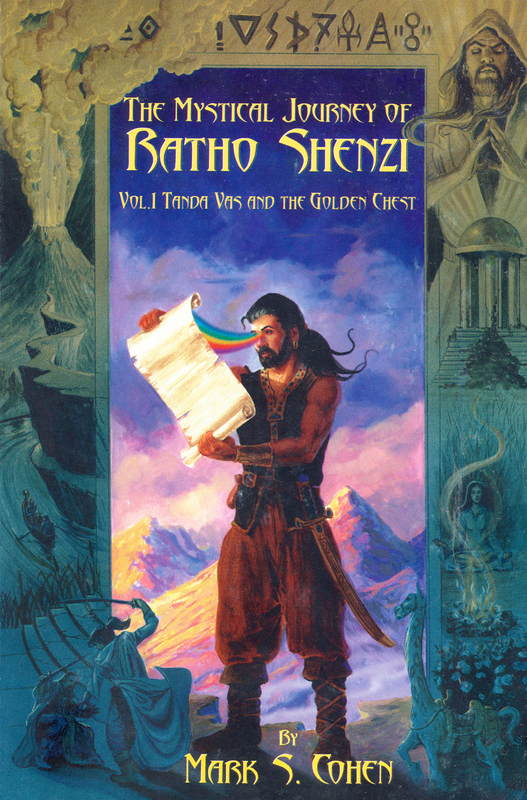 Tanda Vas and the Golden Chest is not only for those wanting to read an exceptionally well crafted, captivating story, it is also for those seeking spiritual truths. Cohen’s fascinating characters share powerful life-transforming lessons and techniques. They teach without preaching, and you will learn without studying. Submitted by C. Gorae: U.S. on Fri, 02/01/2008 - 13:39. This is a great read for someone looking to relax, unwind and escape into a special fascinating world of adventure and mysticism. this is the kind of book you take to bed or on the plane and with it, for a few moments anyway, you forget the hum drum world around you and enter a unique and compelling one. Highly recommended for any arm-chair adventurers and truth seekers. And it is enjoyable! Submitted by Ron: California on Wed, 10/23/2002 - 13:37. On par with Tolkein and Harry Potter. Fun reading and thought provoking. Obvious elements of WuJi Qi Gong and Tai Chi philosophies. I can hardly wait for the next book.